Established in 1913 (but with roots dating back to the mid 1800s and even the 1700s), Frans Hals Museum in Haarlem, the Netherlands, holds and showcases a significant collection of Dutch Golden Era paintings, including many, of course, by Frans Hals, after whom the museum was named. The paintings are owned by the City of Haarlem, that also began collecting contemporary art and was shown starting in 1972 in a separate museum, De Hallen Haarlem. 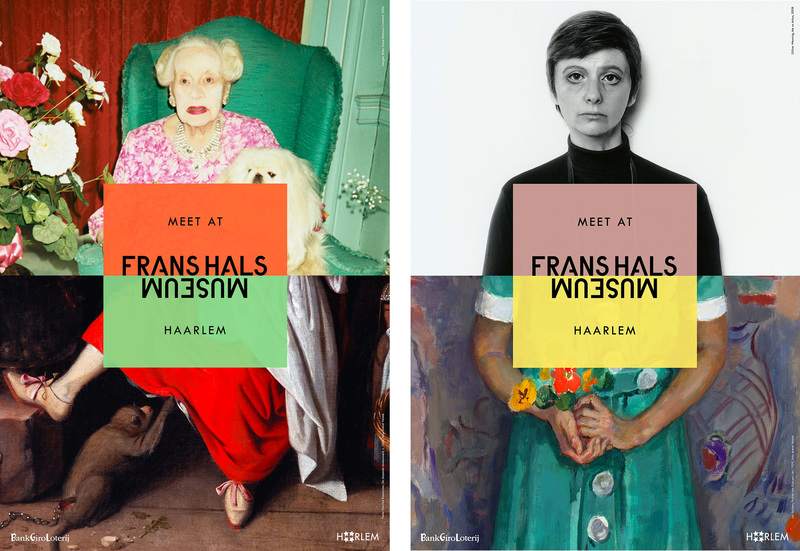 Earlier this year, the two museums were merged into a single one — retaining the Frans Hals Museum name — presented under two locations that will both show exhibitions that combine pieces from the two, categorically-speaking, very different collections. 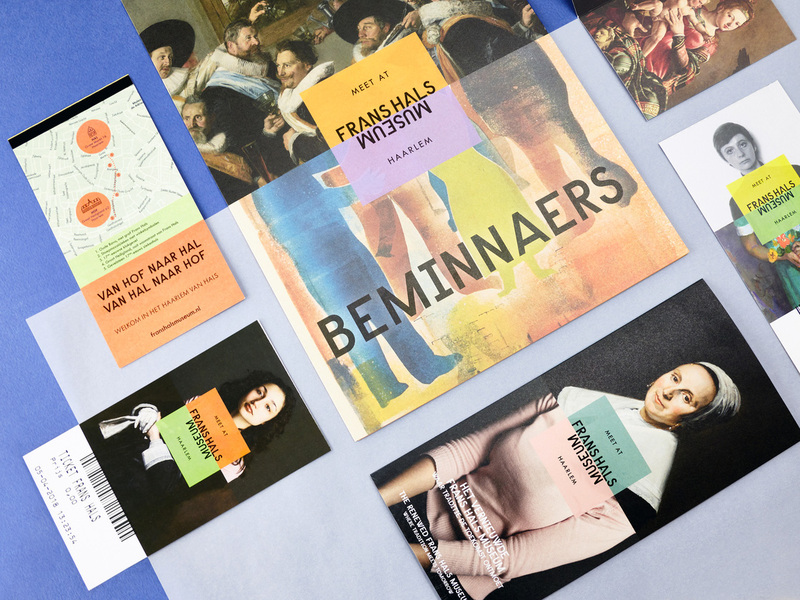 The new identity for the museum has been designed by Amsterdam-based KesselsKramer. 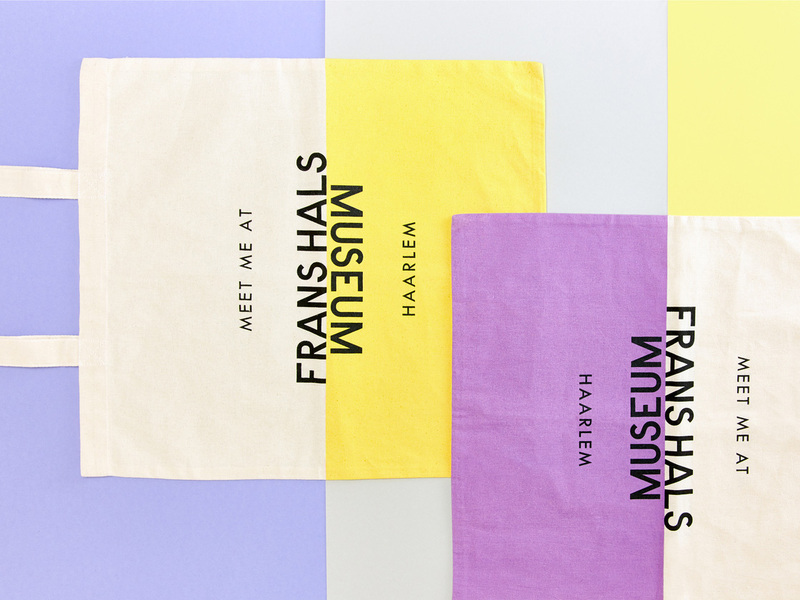 The colorful new visual identity is implemented in every single detail of the museum. 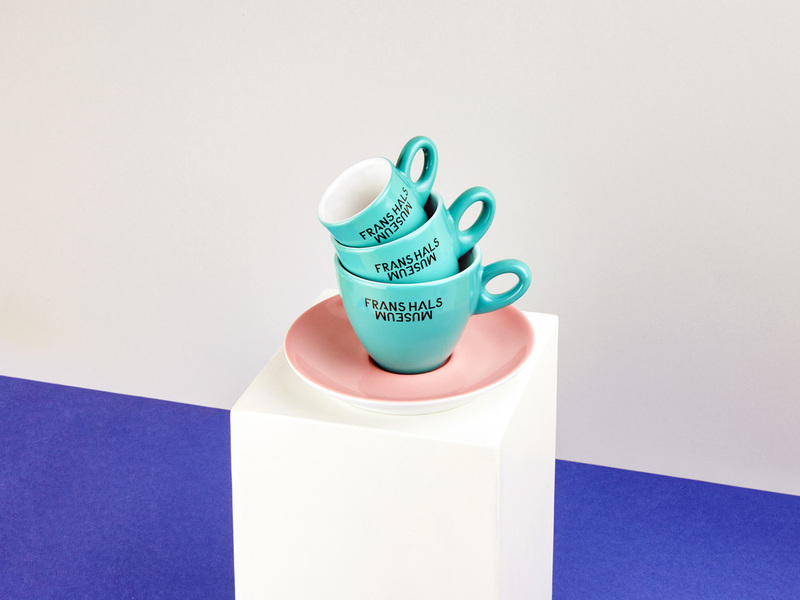 From entrée tickets, to lockers, stationery, coffee cups, wallpaper, signage, museum shop products, employee clothing and more. In communication and online we literally let opposites meet. We visually combine contemporary and classic art and use the ‘meet at’ construct in copy: old meets young, left meets right, pixels meet paint. 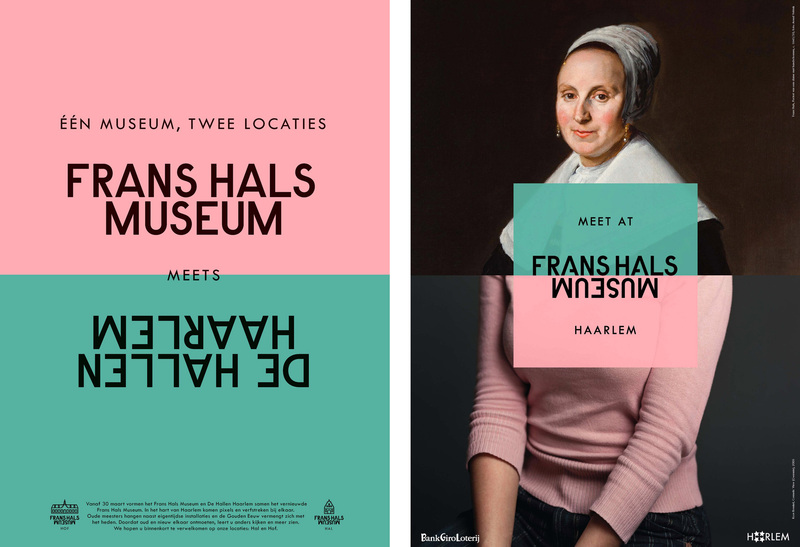 The old Frans Hals Museum was a typical, old-school museum logo with a combination of serif and sans in a square — completely forgettable. The old De Hallen Haarlem logo was much more interesting and certainly conveyed being a contemporary museum. The new logo leans towards the contemporary but the centered arrangement adds a bit of a traditional bent. The biggest statement from the logo is the word “MUSEUM” being upside down. I’m not erudite enough to decipher if there are any philosophical artistic interpretations to be derived from it but, on the surface, I see it as a challenging of conventions and that this museum may not be like other museums. I don’t understand the notches cut out of the “A”s — perhaps a nod to the old De Hallen Haarlem logo? — and they add visual noise to an already busy type treatment. The logo (and identity) use Colophon Foundry’s Raisonne, which is an interesting, quirky sans. Each of the museums has a little architectural icon to distinguish them and the icons have nothing to do with anything else in the identity. Keeping the corners of the drawings sharp instead of rounded would have kept them at least in the same style of the typography. Love these business cards! First with the photos of each employee mixed in with a piece of art and, second, the mini booklet format — probably a pain to carry more than five but definitely memorable. Website. Designed by Build in Amsterdam. The identity builds strongly on the split/art-combo approach and ultimately does produce an effect that successfully blends the two art categories into a single experience. Thanks to Ruud Vocking for the tip. Established in 1913 (but with roots dating back to the mid 1800s and even the 1700s), Frans Hals Museum in Haarlem, the Netherlands, holds and showcases a significant collection of Dutch Golden Era paintings, including many, of course, by Frans Hals, after whom the museum was named. 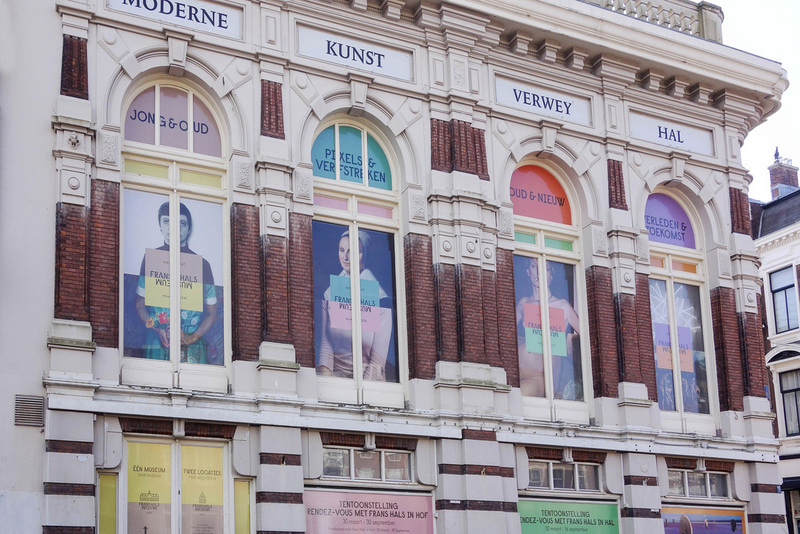 The paintings are owned by the City of Haarlem, that also began collecting contemporary art and was shown starting in 1972 in a separate museum, De Hallen Haarlem. 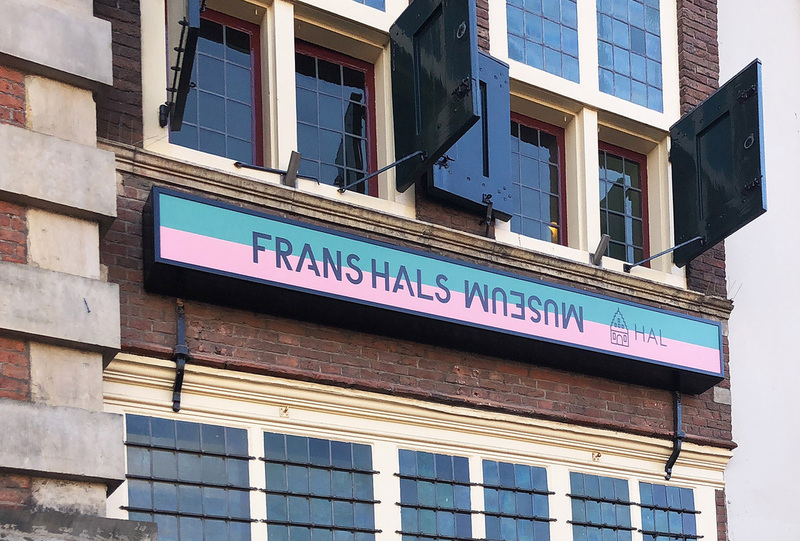 Earlier this year, the two museums were merged into a single one -- retaining the Frans Hals Museum name -- presented under two locations that will both show exhibitions that combine pieces from the two, categorically-speaking, very different collections. 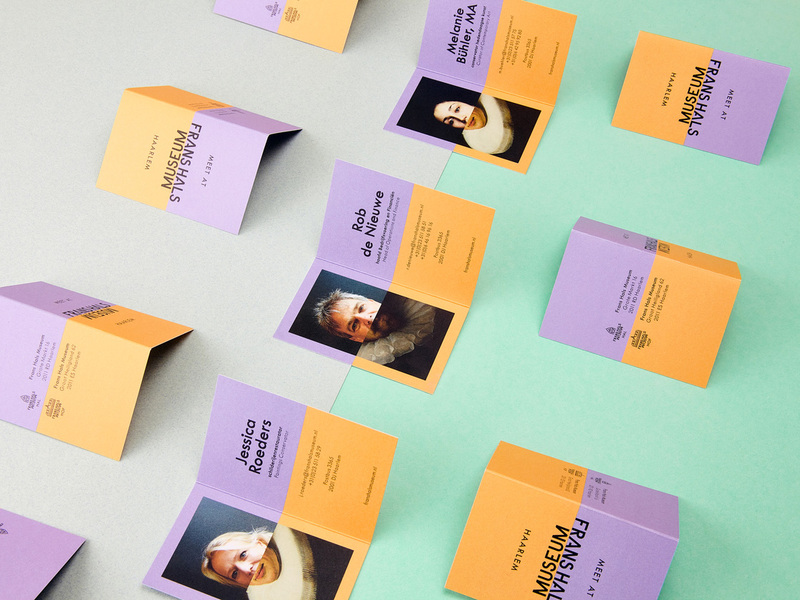 The new identity for the museum has been designed by Amsterdam-based KesselsKramer.